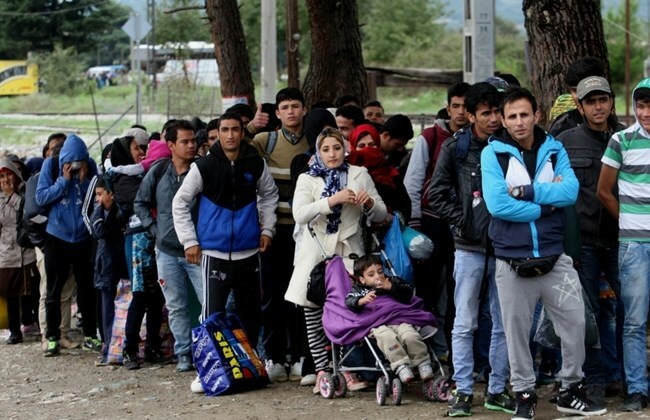 Austria stepped up pressure on Greece on Monday to bolster the European Union’s main external border against the flood of asylum seekers as EU ministers met anew to tackle the crisis. “Greece has to reinforce its resources and accept help,” Austrian Interior Minister Johanna Mikl-Leitner told reporters as she arrived for talks with her EU counterparts in Amsterdam. “It is a myth that the Greek-Turkish border cannot be protected. The Greek navy has enough capacities to secure this border. It is one of the biggest navies in Europe,” she added. Mikl-Leitner has previously warned that Athens could face “temporary exclusion” from the passport-free Schengen zone of 26 countries, in order to pressure Greece to reinforce its external borders. Austria — one of the main transit countries for migrants trying to reach Germany — and other Schengen members have reintroduced temporary internal border controls to cope with the migrant flows, raising fears the zone could collapse.